A Good Employee searches county criminal records to uncover felonies and misdemeanors tried in county courts. We perform a repository search in each county indicated by an employer. This means we send a court researcher in person to the selected county courthouse to perform a manual search of the court’s index and dockets. This a more in-depth criminal search that may reveal crimes that have not yet been reported to a statewide database. It’s the most effective way to run criminal checks for employment. To ensure a complete employer criminal background check we suggest adding one or more county searches to an instant statewide criminal search. Our extensive network of court researches verifies that the correct person is being searched and provides requested information in compliance with the Fair Credit Reporting Act (FCRA). All U.S. counties, Puerto Rico, Guam and Virgin Island provinces/municipalities are available, so you can gather the most complete criminal checks for employment in any US location. Average turnaround time for county searches is dependent on the individual state or jurisdiction overseeing the search. On average the search is typically returned within 24-72 hours. However, some state and local jurisdictions may take longer or charge additional fees to access the records. For instance, out of the 12 counties in Massachusetts 4 counties (Bristol, Essex, Hampden, Worcester) have a turnaround time of 2-3 months or 8 – 12 weeks. These are clerk controlled counties that are understaffed and the clerks put criminal searches at the bottom of their list of responsibilities. Lastly, county-level searches are available for a 7 or 10-year time-frame. As an FCRA (Fair Credit Reporting Act) compliant company we will not provide any non-conviction record(s) older than 7-10 years. Similar to a manual county search, we perform a repository search of federal criminal history records. 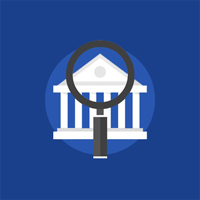 We retrieve information from 189 district courts, 136 bankruptcy courts, 13 circuit courts of appeals. This search is done by jurisdiction; each hit produced from a search will give party name, the court where the case was filed, the case number, and the filing date. The actual record will give all party names, date of birth (if available) on a criminal record, case number, date case filed, attorney names, docket entries and verdict information. The United States district courts are the trial courts of the federal court system. Within limits set by Congress and the Constitution, the district courts have jurisdiction to hear nearly all categories of federal cases, including both civil and criminal matters. Employer criminal background checks are included in our Premier package, but can be added to any order.